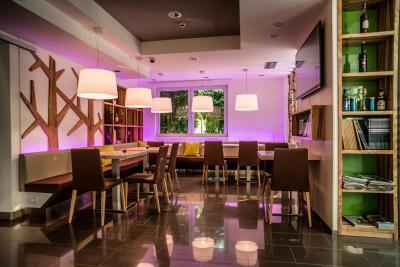 Lock in a great price for Aktivhotel Santalucia - rated 9.7 by recent guests. We did like the rooms, spacious and tidy. Modern design of bathroom. The stuff was friendly and very helpfull! 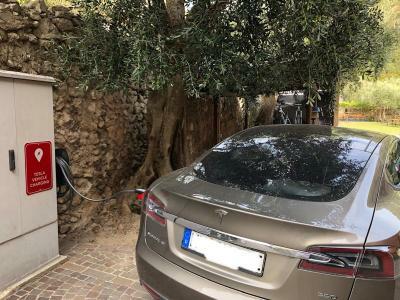 Good parking lots at the hotel territory if you travel by car - is a big plus. Amazing hotel. The rooms are big and very clean. The stuff is so nice and helpful. The breakfast was very rich. 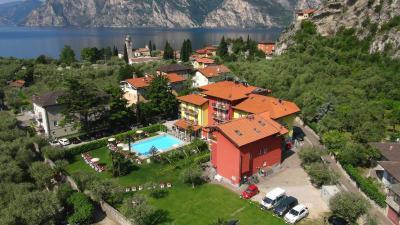 Nice quiet typical Italian location but very close to Torbole. 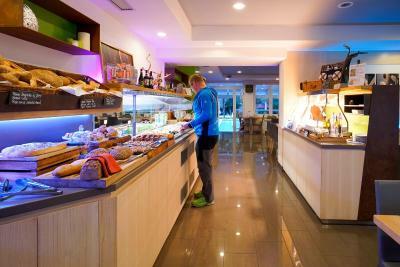 Staff is very friendly and helpful, Breakfast was above expectations - higher than Italian standards, more likely to a luxury hotel. Very strong air condition and quiet. 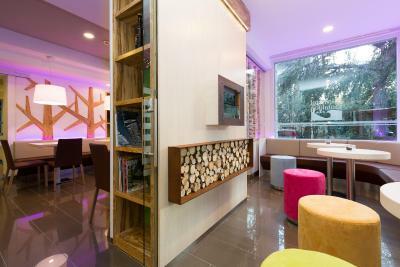 We loved our stay there, it has everything and the staff are very friendly and accommodating. 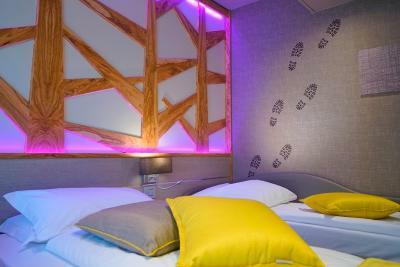 This hotel is a cyclists dream hotel, it makes me want to go there to cycle. The breakfast was fantastic. Very nice place-nearest to the centre and on the other hand very quiet. Excellent breakfast-good coffee. Staff/personnel very helpfull and kind. I could recomended for children regarding very nice pool too. As other people have said, the breakfasts are amazing. Arturo and his team make it the best meal of the day. We have two small children so it was also nice to find an immaculate room every day after returning from breakfast - the cleaners do a great job. There's an honesty bar poolside and a small play area for the kids. It's five minute walk down a steep little lane into town where there are plenty of eateries and shopping opportunities. 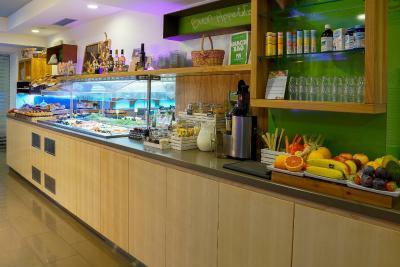 Absulutely marvellous breakfast (better choice compared to some 5-star hotels), friendly and professional staff, easy parking, nice and clean room with a large bathroom. Aktivhotel Santalucia is set in a 3000-m² private garden with swimming pool and olive groves, just 200 yards from Lake Garda. 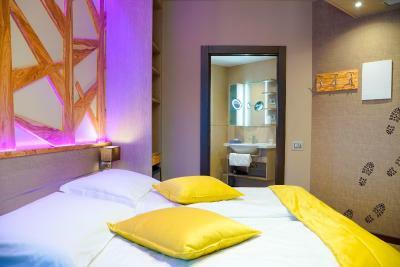 The property offers a small wellness and fitness centre, and a sun terrace. 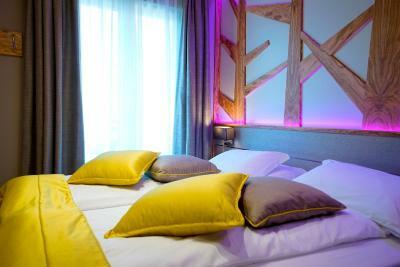 With a private balcony, rooms at the Aktivhotel are bright and spacious. 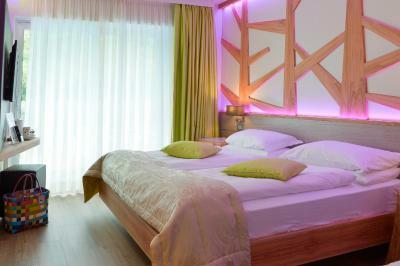 Each features air conditioning and an LCD TV with satellite channels. Free Wi-Fi is available throughout. The wellness centre boasts a Finnish and Bio Sauna, solarium and Technogym fitness area. 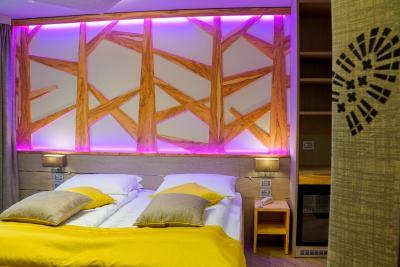 Electric mountain bikes can be rented on site, and the hotel also has a bike storage room. Mountain bikes or road bikes can be rented at a nearby shop. A generous buffet breakfast is served daily, either indoors or outside. Snacks are available every day from 13:00 until 20:00. 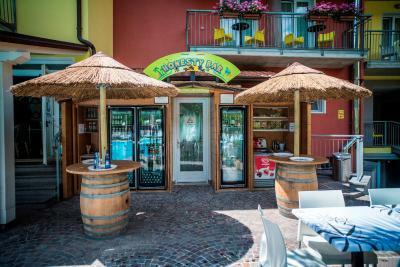 The Santalucia is a 5-minute walk from the centre of Torbole sul Garda. There is a secure sports equipment storage area. Parking is free. 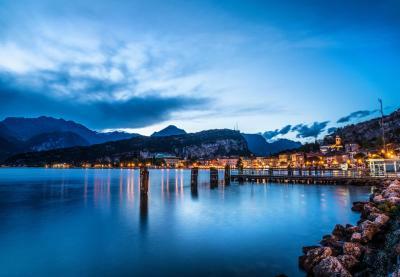 This is our guests' favourite part of Nago-Torbole, according to independent reviews. 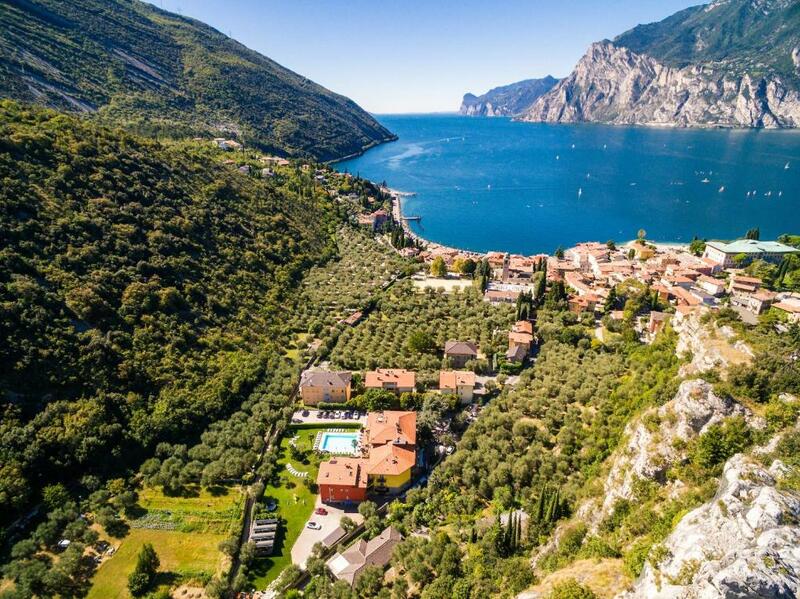 This property also has one of the best-rated locations in Nago-Torbole! Guests are happier about it compared to other properties in the area. This property is also rated for the best value in Nago-Torbole! Guests are getting more for their money when compared to other properties in this city. Aktivhotel Santalucia has been welcoming Booking.com guests since 1 May 2010. 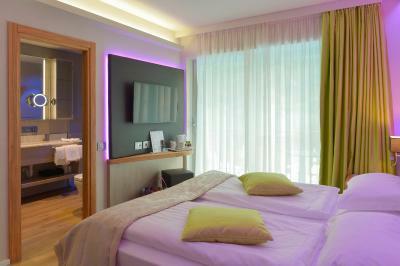 When would you like to stay at Aktivhotel Santalucia? 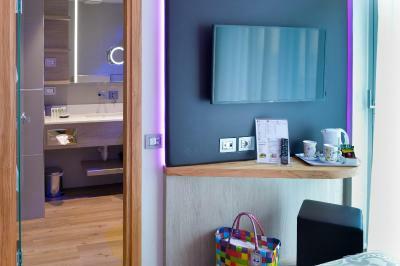 Modern and spacious, this air-conditioned room features a balcony, a flat-screen TV and a private bathroom with a hairdryer and free toiletries. 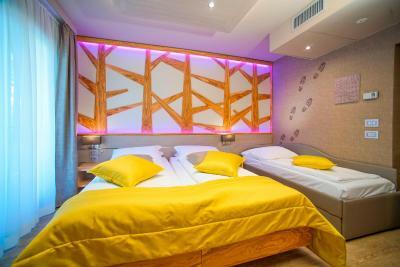 This basic room offers a balcony, air conditioning, and a flat-screen TV. 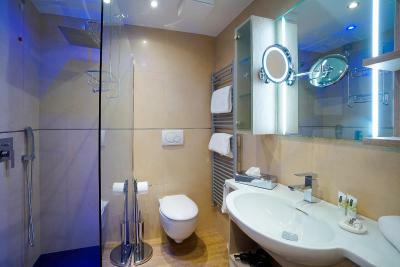 The private bathroom includes a hairdryer and a shower. This room features a balcony, air conditioning and a TV. 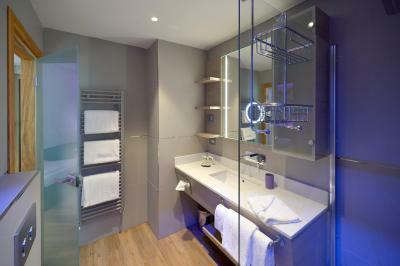 The private bathroom includes a hairdryer and a shower. 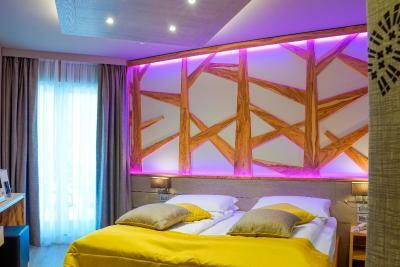 This air-conditioned room features a balcony, a flat-screen TV and a private bathroom with a hairdryer and free toiletries. 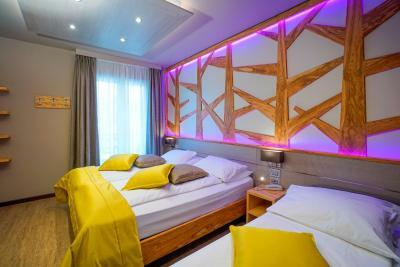 This apartment features a free WiFi, air conditioning and a satellite flat-screen TV. 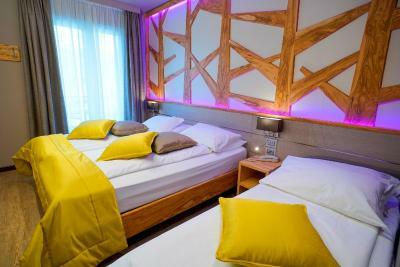 A hairdryer, bed linen and towels are also featured. This apartment features a balcony, sauna and microwave. House rules Aktivhotel Santalucia takes special requests - add in the next step! ATM card Aktivhotel Santalucia accepts these cards and reserves the right to temporarily hold an amount prior to arrival. Aktivhotel Santalucia accepts these cards and reserves the right to temporarily hold an amount prior to arrival. Please note that the pool is only open during summer. Could have been more comfortable seating in the room -- but this place is about getting out, not sitting around in your room. The staff at this place were the best. From checkin through check out everyone was friendly and welcoming - and not in a fake way. The place really caters to bicyclists and other active guests - there is a bike workshop with tools and a work stand, storage options for bikes and gear, a guided tour goes out every morning. There is a 'Honor bar" where you select your drinks and make down what you've had and it gets put on your tab -- awesome! 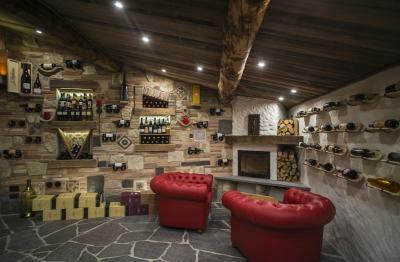 The night we checked in there was a wine tasting out back, then later grappa tasting -- all free. The hotel is on the top of a hill. The way back from town is a little hard. Could've done with a couple more towels maybe? Beds were a little hard (although we stayed in 4 hotels in Italy and all had hard beds)! Amazing breakfast, loads of fresh fruit and coffee. Staff were really friendly and helpful. Better pillows, not the worst but can be much better. 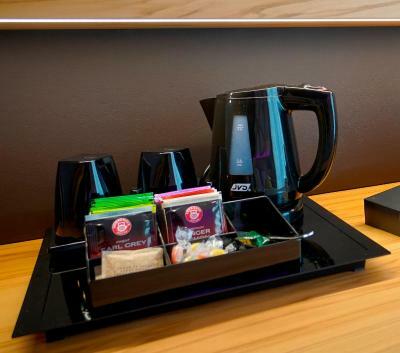 The hotel is very clean and modern, Staff is 100% always ready to help and give you information. 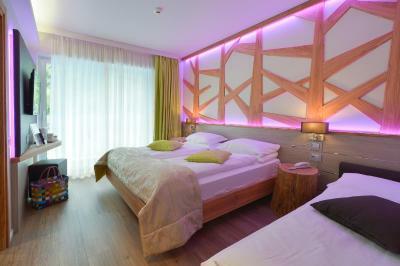 Rooms are very nice and the bathrooms to. Garden is very beautiful and the view from our room was great. Breakfast is much nicer then in most hotels I've been to. I sits on the top of a hill so it is a short walk up a steep hill to get there but that was worth it. Christine was over the top excellent, everything was great and they were very acomodating! The hotel is very German-centric. This isn't a criticism in and of itself; there's nothing wrong with German people but when their World Cup games were on, the big TV was wheeled out and there was a barbecue on and the honesty bar stayed open until late. When other nations played - nothing at all extra. This made us feel not unwelcome but a little like our custom wasn't quite as valued as theirs. If you're unfazed by such things I'd highly recommend this place - the staff and facilities are brilliant, it was just that one thing that slightly irked me. Room size relative to price was not a good deal (we booked a superior room and there was barely room for two suitcases in the room). A bathtub would have been nice after a long day of hiking. The breakfast was good but a better coffee machine would be welcome. Beautiful location. If you are a biker it’s perfect. For a trekker, it’s good as well. Just be prepared to walk up and down a hill daily. Btw the hotel says not to trust gps coordinates to find the place but google maps got us there perfectly. The only negative has NOTHING to do with the hotel but the poor communication from the Mt Baldo cable car.